This country home plan is as beautiful from the back as it is from the front. Front and rear porches, gables and dormers provide special charm. The central great room in this home plan has a cathedral ceiling, fireplace and a clerestory window, which brings in lots of natural light. Columns divide the open great room from the kitchen and breakfast area. A tray ceiling and columns dress up the formal dining room. 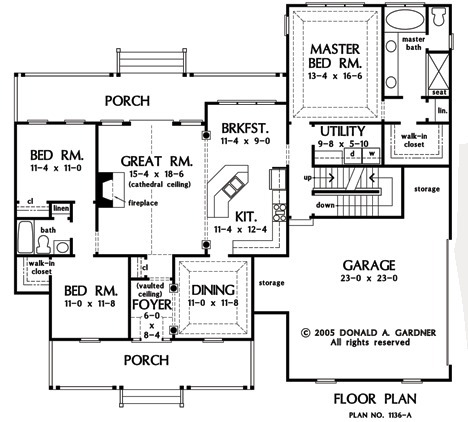 This home plan's master suite with tray ceiling and back-porch access is privately located in the rear. The master bath features a whirlpool tub, shower, and double vanity. The front bedroom with walk-in closet doubles as a study. A garage with ample storage and a bonus room above completes the plan. 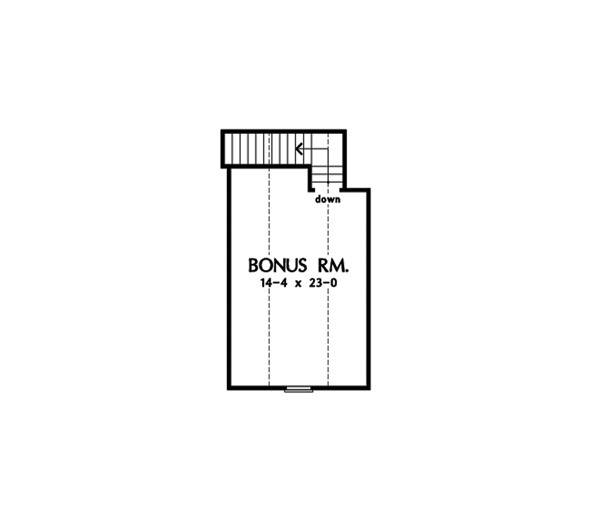 1st Floor: 1793 Sq. 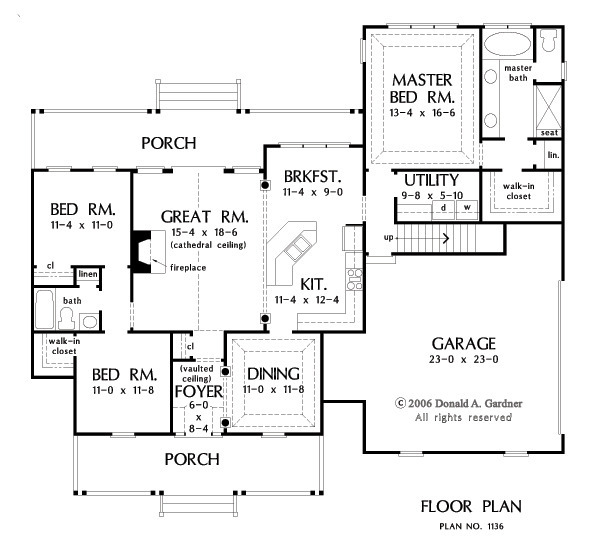 Ft.
House Dimensions: 62' 8" x 55' 2"
Bedroom #2 : 11' 0" x 11' 8" x 9' 0"
Foyer : 6' 0" x 8' 4" x 18' 6"
Garage Storage : 5' 0" x 7' 10" x 0' 0"
Garage Storage Bay : 6' 6" x 3' 8" x 0' 0"
Great Room (Cathedral): 15' 4" x 18' 6" x 21' 3"
Porch - Rear : 39' 0" x 7' 0" x 9' 0"
Utility Room : 9' 8" x 5' 10" x 9' 0"